Last week was our first “move of the month” feature which showcased the T3 method of Jennifer Jordan, the trainer behind Sweat and the City. I’ve been in the fitness industry for over a decade, starting as a group fitness & dance instructor. I officially started working with private clients while studying Exercise Science at Arizona State. I was hooked after the first session! Don’t get me wrong, I love the energy that comes from a packed group fitness class. However, the special connection that I’m able to make as a personal trainer is something that I treasure. It’s difficult to sum up what I love most, but I can tell you that the “light bulb moment” is what keeps me in this business. The moment when a client realizes that they are worth the effort, is what I live for! The moment I know that they’ve transitioned from forcing exercise/healthy habits to making it part of their lifestyle…there’s just nothing better. What does T3 stand for and why did this combination of moves become your signature method? T3 stands for Triple Threat Training, and it is something that I developed while working as an apprentice for an incredible trainer in Scottsdale. I always considered myself to be an outside the box thinker when it came to creating exercises and sequence design, however at one point I was struggling with obtaining results for some of my female clients. I genuinely believed these women were following my training protocol, putting in the extra cardio, and eating impeccable diets, all with no results. Talk about frustrating! I went back to the drawing board, grabbed 20 women to participate in my first case study and started developing this method. To sum it up: It worked. My biggest problem was no longer the inability to achieve results with my clients suffering from plateaus, it was that results were coming too quickly! I’m not saying for a single second that I have the power to out-train genetics, and completely redesign the female physique. It isn’t a magic solution, but it is incredibly effective at eliminating what we commonly refer to as “trouble zones”. For people who want to get into a fitness routine but don’t know where to start, what would you tell them? My best advice to them would be to find activities that they truly enjoy and then stick to it. 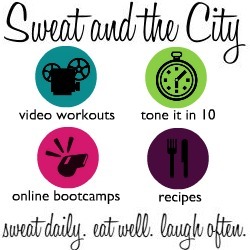 Let’s be real: Working out is “work”, but at the same time it should be fun too! Trust me, not everyone finds the T3 method to be the equivalent of a party! When that happens I switch up the equipment and tune into my client in order to select exercises that will be enjoyable and effective. In addition to making it enjoyable, develop healthy habits towards your program adherence and motivation. Whether it’s hiring a personal trainer to keep you on track, or exercising with a friend: Set yourself up for success with accountability.